SUPERAntiSpyware is reliable security tool for detecting and removing spyware, adware, malware, Trojans, dialers, worms, key loggers, hijackers, parasites, root kits and many other types of threats. It's multi-dimensional scanning and process interrogation technology will remove spyware that other applications miss or fail to deal with. Furthermore, It offers a real-time blocking of threats and allows quick, complete and custom scanning of hard drives, removable drives, memory, registry, or individual folders. SUPERAntiSpyware is available in three editions: Free, Professional and Enterprise/Corporation (Compare Editions). 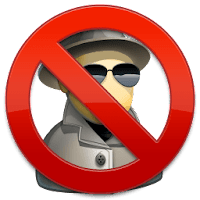 Disclaimer: Direct downloads for the lastest version of SUPERAntiSpyware 6.0.1248 are provided by the official software's author, we can't guarantee safety, availability or download speed. Moreover, we don't and we won't provide any pirated/illegal versions or tools. We recommend you to avoid it as these methods can harm your device. If you like the software, buy it to support the developers. (We provide software discounts for many worldwide brands).